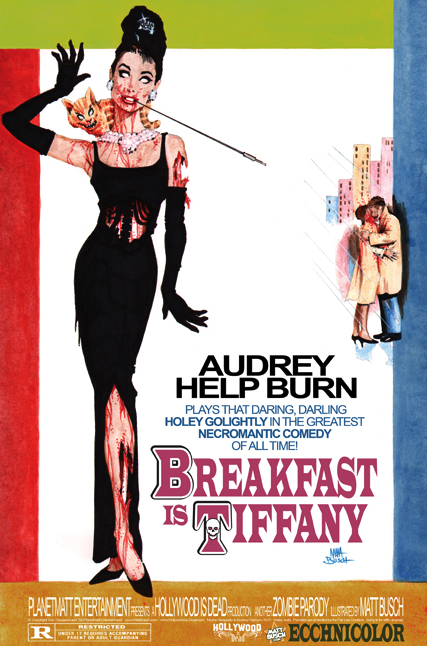 Breakfast is Tiffany – The greatest Necromantic Comedy of all time. 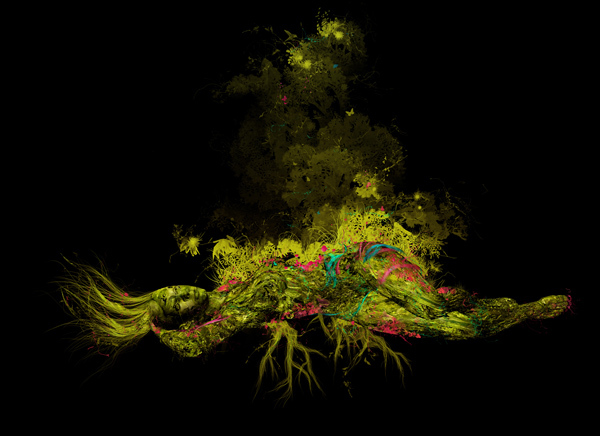 Nastplas are two illustrators and freelance designers that hail from Madrid, Spain. Dr Franken (as he is called) and his wife Natalia. She is an interior designer and the art director of Nastplas and he also works as a computer developer in electrical engineering. Together they conducted their studies in the art school of Salamanca and Valladolid. They went on to create the site nastplas.com five years ago to showcase their art around the world. Dr Franken does the illustrations and the artistic portion, while his wife Natalia gives a nod to the work. Together they form a great artistic team. This app will change the way we communicate! 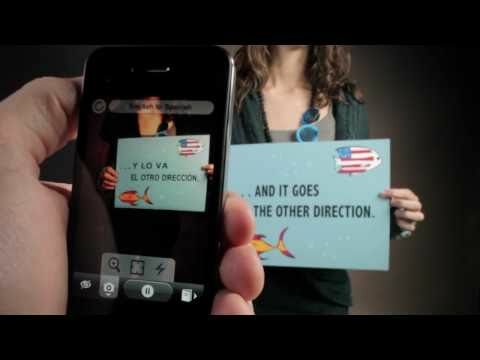 Watch the video on Word Lens and see for yourself how it instantly translates printed words from one language to another with your built-in video camera, in real time! Now the question is…how on earth does it work? It is available in the itunes store. Will you be getting this app? Artist Interview with Enda O’Donoghue who turns forgotten digital images into fine art. Upon first examination of the paintings of Enda O’Donoghue, one notices something is off. 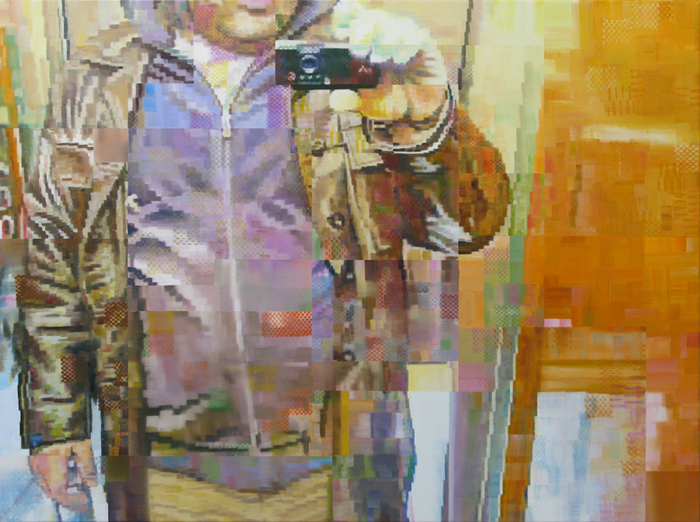 With further inspection you realize there is a digitized effect peppering the canvas and immediately you want to why. 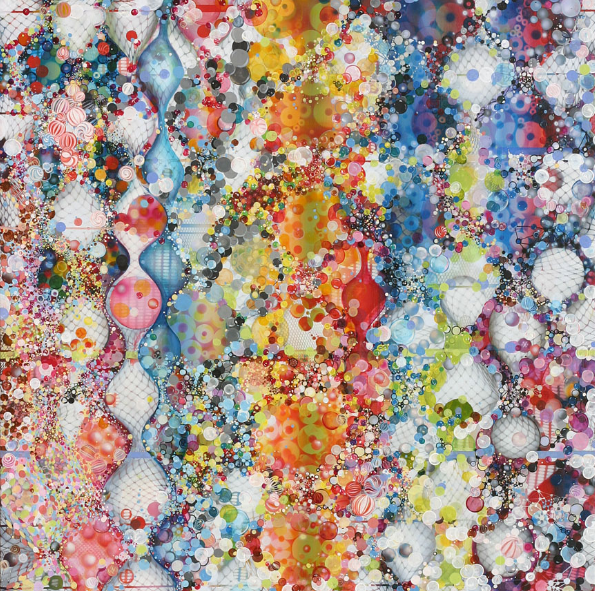 As stated in his bio, the images in Enda O’Donoghue’s paintings all come from the Internet. They are all other people’s images, digitally found images from searching through popular online social networks and blogs on an ongoing basis that he collects and catalogues. The photos which he works with are most often the throw-away shots which otherwise gather digital dust buried away on hard-drives, camera chips, mobile phones or uploaded and then lost or forgotten someplace on the Web. With each image he paints he is meticulous about tracing the ownership and requesting permission, partly as a way of dealing with the anonymous nature of the Internet and also a reaction to the issues surrounding online privacy and copyright. 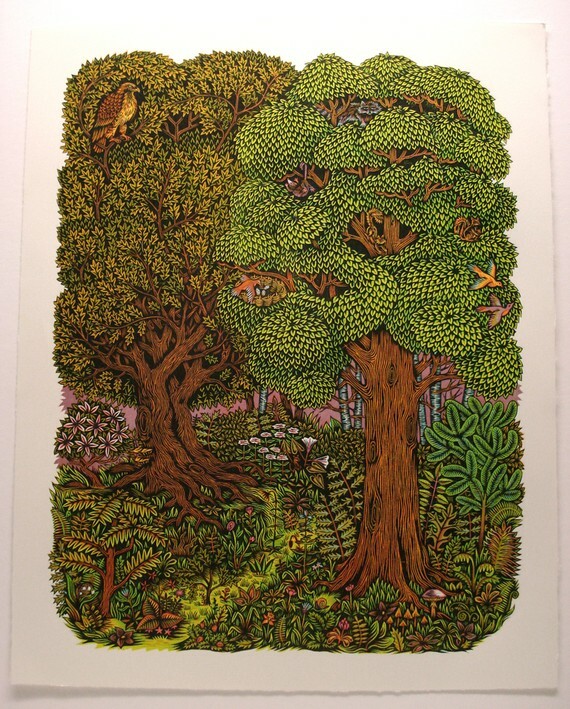 This highly detailed “Forest” color woodcut print depicts a forest scape erupting with patterns of lush green flora & fauna and tiny animals hidden into treetops. This is the finished product. You can see how it was created below. This is not a digitally reproduced print. After drawing the original design on birch plywood,it is hand-carved on the wood blocks. With bizarre and fantastical illustrations, ‘Monsters: A Bestiary of the Bizarre’ provides a dark yet engrossing visual history of fearsome beasts from every age and culture. This book explores monsters through the ages and throughout the world. 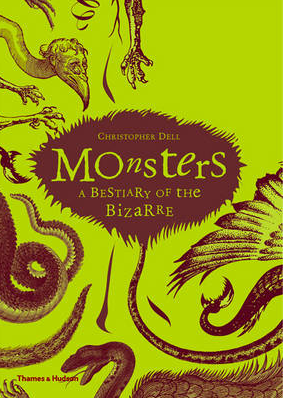 Christopher Dell investigates what the existence of monsters even if only in our heads says about humankind, and explores such questions as how monsters have survived the millennia; why they are universal; and, why we find the same one-eyed giants in Japan and in ancient Greece, or the same dragons in Europe and China.